Dr Harold Elletson is the Chairman of the New Security Foundation. He is also a member of the Advisory Committee of eLearning Africa, an annual international conference on technology-assisted learning in Africa, which he helped to establish. He is enthusiastic about the new opportunities technology is creating for education and has chaired roundtable discussions, involving experts from Europe, North America and Africa, in both Nairobi and Accra, on the use of e-learning in the fight against HIV Aids and other diseases. He recently also chaired discussions, including ministerial meetings, at Microsoft’s ICT Best Practices Forum in Ouagadougou in 2008 and a session on eLearning and the Post-Confict Situations at eLearning Africa in Dakar in 2009. A former Member of the United Kingdom Parliament (from 1992-1997), Harold Elletson served as Parliamentary Private Secretary to the Secretary of State for Northern Ireland in the early stages of the peace process and was also member of the Select Committee on Environment. He served as a member of the Lancashire Education Authority (the Education Committee of Lancashire County Council) before being elected to Parliament where he represented the interests of schools and colleges in his constituency in discussions with Ministers and on the floor of the House of Commons. Dr Elletson was the Director of the NATO Forum on Business and Security, which he created with support from the NATO Science Programme. The Forum, which brought academics, businessmen and political leaders together to discuss the implications of the new security environment, was attended by delegates from over 60 different countries. He is currently the Chairman of The New Security Foundation, which conducts research into the implications of the new security environment for civil society. The New Security Foundation provides an international forum for dialogue between the public and private sectors and offers analytical insight and information about new security conditions. The Foundation hosts regular events and conferences, including an annual International Forum on Technology-Assisted Learning and Training for Defence, Security and Emergency Services. 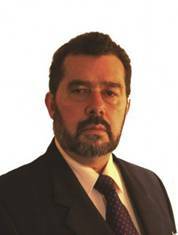 He is also the Editor of New Security Learning, a quarterly magazine on developments in security learning sector. An international public affairs consultant, who has advised many leading companies on aspects of their business in various markets, he has also written widely on political and historical subjects. His first book, The General Against the Kremlin, was published by Little Brown. 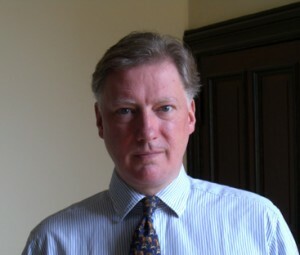 Dr Elletson holds a PhD in Social Sciences from the University of Bradford, where he is an honorary research fellow. Andrew Janis Folkmanis is the President of Baltic Nuclear and Vice Chairman of The New Security Foundation. His areas of expertise cover Russian, Eurasian, Baltic/Nordic and European foreign, security, economic and business policy. 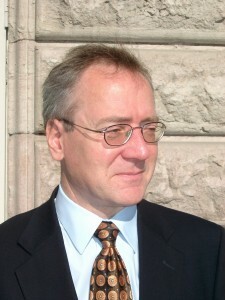 From 2003 to 2007 Andrew Janis Folkmanis was adviser to the President of Latvia. He has conducted conferences and briefings for Baltic, Nordic and European administrations and agencies. From 2003 to 2005 he was Head of Energy at the Council of Baltic Sea States. Prior to 2003 he was an official at the European Commission in Brussels. He publishes broadly in specialist and general media. He also has extensive experience consulting for the private sector, international organizations, and technical assistance projects in the Central and Eastern Europe and CIS regions. Leonardo de Arrizabalaga y Prado is a writer, composer, painter and academic, of Spanish origin and British education, at home in many languages and cultures. Educated at The Oratory School, Oxfordshire, and Trinity College, Cambridge, he read Philosophy, Archaeology and Anthropology, and English with Comparative Literature, graduating with First Class Honours. He holds two Doctorates: in History from Cambridge University and Literature from Tsukuba University. He has taught at Cambridge University, Tokyo University, and colleges in America, Spain and Japan. He has published books of poems and short stories in Spanish. In English he has published academic essays and articles and a book with Cambridge University Press: ‘The Emperor Elagabalus: Fact or Fiction?’. His musical compositions have been performed in Spain, Greece and Japan, and on the high seas. His paintings are figurative and abstract, Surrealist and Expressionist. His current academic work is on the philosophy of culture.